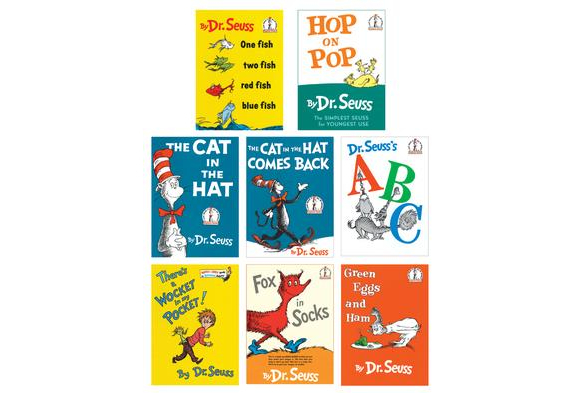 I don’t think that many adults who read these predictable stories to children realize how critical they are to the development of good readers. Predictable books have rhyming or repetitive word patterns, familiar concepts and simple story lines. The text and illustrations enable children to anticipate words, phrases or events. Predictable books can be stepping stones in the reading developmental process because they are engaging and interesting to young children. The listener can also participate in the reading. Repetitive phrases can help children follow storylines and more fully understand the sequence in a story. Predictable books have wonderful story patterns that help the reader deliver the story with fluency and rhythm. I have found that predictable texts are essential examples of the reading process for struggling readers, as well. A child who is having difficulty decoding words and reading sentences smoothly would benefit from predictable books. As a listener, he is able to hear the rhythm of fluent reading. As a reader, there will be repeated words that may simplify the decoding process. Sometimes a book will have a repeated line that is not part of the rhythm of the story but occurs often. These repeated statements or questions can be invaluable to the new or struggling reader. Pick up the latest book by Philip C. Stead, called, Bear Has a Story to Tell, and listen to the bear repeat the same question to all of his animal friends, “Would you like to hear a story?” Great stories that become teaching tools are still being published, probably now more than ever.